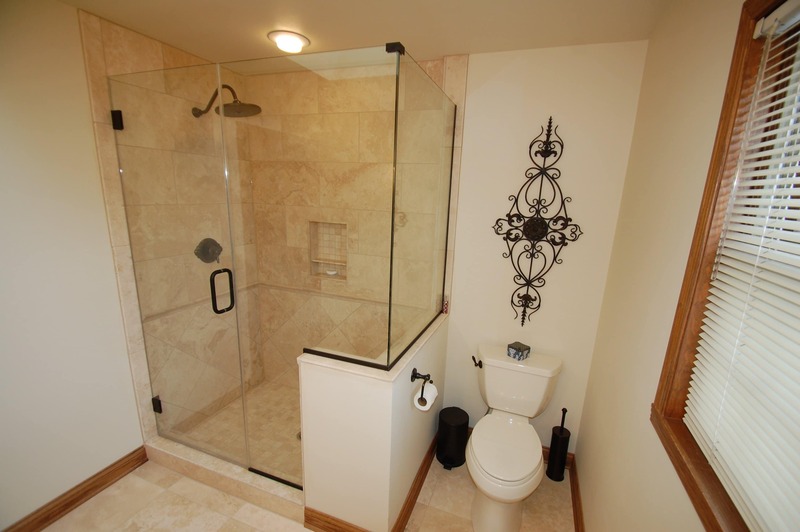 The acrylic tub/shower unit was replaced with a walk in tile shower. 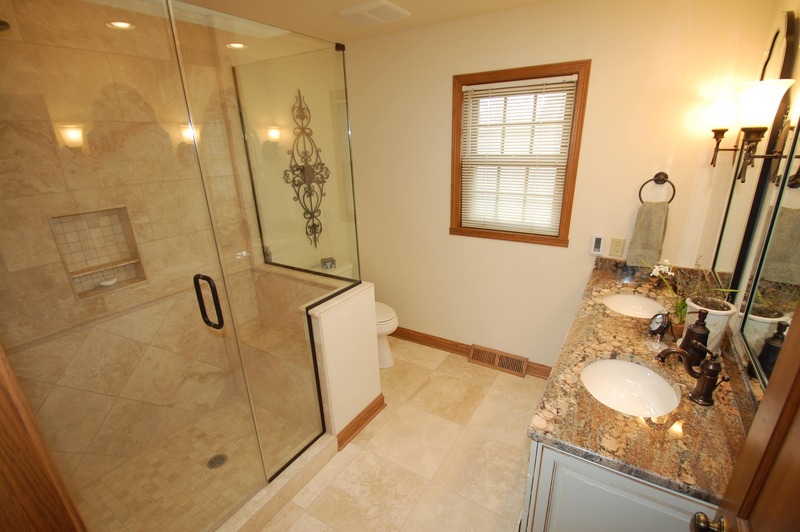 Travertine tile was used throughout this master bath makeover. 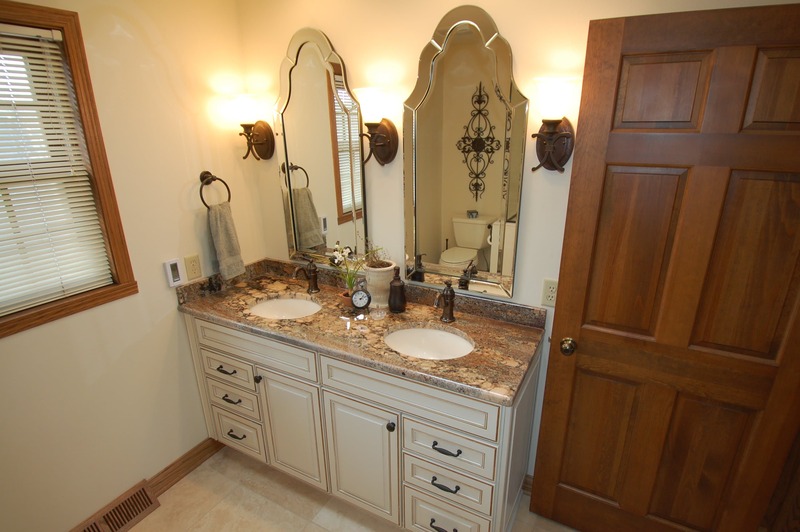 New tops and countertops. 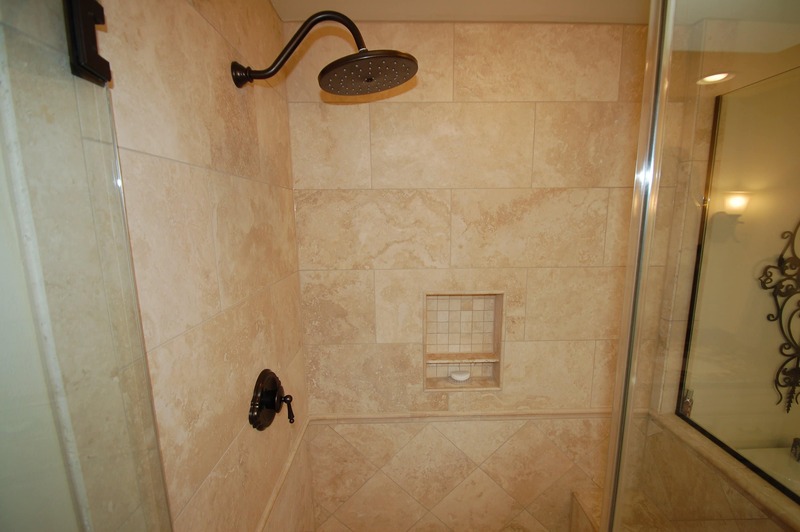 The other bath was also gutted to studs and renovated as well.